In my last post, I wrote about how half-meditating to Iron Butterfly’s 1968 psychedelic classic ‘In-A-Gadda-Da-Vida’ has helped me get through a current period of grueling work. Since then, unfortunately, work has gotten worse. The large-scale project I’ve become involved in suffers from a variety of problems. The last week has been the worst so far. Not only did I work for 53.5 hours, but they were almost all high-pressure hours. And it wasn’t just me – throughout the week, during morning and afternoon teleconferences, I could hear the strain and tension in more and more of my colleagues’ voices. Fortunately, I’ve continued to half-meditate to ‘In-A-Gadda-Da-Vida’ when needed and it remains a big help. As well, thanks to what I’ve learned through age and experience and living with depression, it’s been gratifying and reassuring to see how much I’ve changed for the better. Despite the demands of work I stay calm, make sure I get enough rest and break-time, and don’t let the situation overwhelm me. As I said to a colleague last night, if I had been working on this project 15 years ago I wouldn’t have been able to handle it. Also, that particular colleague has been of enormous help herself – not only for her work capabilities and skills, but also for being someone to talk to. In turn, as she has also found herself under great strain, she has appreciated me for being there to listen to her concerns and to help work things out. Finally, extra relief has come from two more sources – both similar and yet quite different, but in their own ways welcome nonetheless. I don’t watch free-to-air or cable TV, so I missed the series True Detective when it was first screened early this year. As well, I don’t watch illegal downloads, so I would have to wait until True Detective was released on DVD. Months passed, and as I waited for True Detective‘s Australian DVD release I avoided reading about it online as much as possible. What I did read, though, continued to intrigue me and kept me looking forward to watching it. Finally, about a month ago when my current work situation began, True Detective finally arrived on DVD. So, one Tuesday I headed down to the local store where I buy most of my DVDs. I had planned to just get True Detective, but as always there were several tantalizing sales going on in-store, including a deal where you could buy two seasons of specially-marked TV-series on DVD and get a third season free. 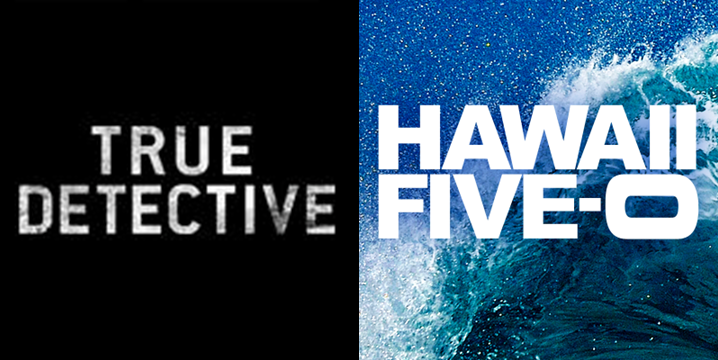 One of the specially-marked series was the remake of Hawaii Five-O. I had been aware of that series since it had begun in 2010, and from time to time since I had thought of watching it. The original series had been one of the first TV programs I knew of when I was a little kid in the early 1970s – although I hadn’t really watched it, of course, because I was too young to understand what was going on. As well, its classic theme music is one of the first pieces of theme music I remember hearing. Years later at university from 1989-1991, the original series had been rerun late at night on local TV, and it had been fun to finally watch it as an adult. And now, here was a money-saving opportunity to finally see what the remake was like. I could have bought the first three seasons of Hawaii Five-O there and then, but I limited myself to just the first season in case it turned out to be a turkey. Although at long last I finally had True Detective, initially I decided to wait a little longer to start watching it, until the coming weekend. One half-serious reason was that if I started watching it, I’d get hooked and want to binge-watch it instead of work. Another serious reason was that I wanted to wait until either Friday night or Saturday, and watch it in a much more relaxed work-free zone so I could enjoy it more. Another serious reason was that I like to watch TV episodes an hour or so before I go to bed to help me unwind, but I thought that True Detective might be too intense for that like Hannibal was (I liked Hannibal but it’s not relaxing late-night viewing). A day or so later though, after work continued to drive me nuts, I changed my mind. So late Wednesday or Thursday night, after finally signing off from that day’s work, I put in the first DVD of True Detective. This entry was posted in Action, Inspiration, Life Strategies. Bookmark the permalink.